The music of The Chills is finally getting a bit more attention, the sorts of levels of attention it's always deserved. 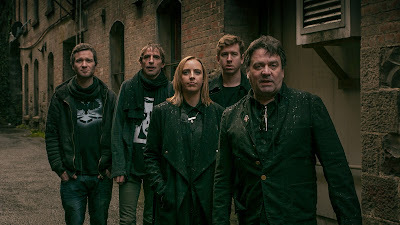 A perennial fave of critics -- and us wannabe "cool kids" -- the New Zealand band's stuff, largely the product of the genius of main-man Martin Phillipps, is the subject of so much ink lately thanks mainly to the release of the band's newest record, the sublime Silver Bullets (2015). The music on the album, out now on Fire Records, is an effortlessly perfect blending of so many different eras from Phillipps' back-pages: the warmth and wit of Brave Words (1987), the intellectual indie of Submarine Bells (1990), the chamber pop of Soft Bomb (1992) -- all those fine, fine releases get referenced here on the tracks of this new record. That it's been nearly 2 decades since the last full-length Chills album is sort of stunning to consider 'cause the music of Martin Phillipps has been with us all along...at least it's never left my stereo, my iPod, and my earbuds. 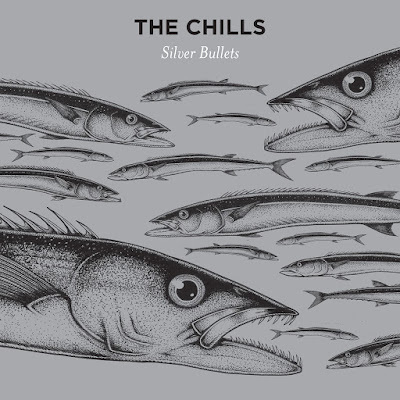 I tried to not be too overwhelmed as a fan when I got the chance recently to interview Martin Phillipps and, instead, I attempted to focus on the process of making Silver Bullets (2015) and how The Chills songs take shape. So here is my interview with Martin Phillipps of The Chills. Glenn, kenixfan:: How does it feel to be back promoting and touring a new record again? MARTIN PHILLIPPS: Because there have been so many near-tours and near-albums over the last two decades I was genuinely nervous that this album might never happen but it is finally out and I can relax. We are very proud of it and the reception has been so positive that I am at times almost overwhelmed. I knew there had been a growing awareness of the band over the last few years but I did not anticipate the level of emotion with which our return would be greeted. Glenn, kenixfan:: Tell me about the process of making the new album, Silver Bullets (2015). MARTIN PHILLIPPS: Some of the basic riffs have been kicking around for years but most of the album is reasonably fresh material -- in particular the lyrics because, although I had pages of ideas for some of these tunes, most of the older ideas were thrown out as I realised I needed to address some of the difficult issues that have been bothering me about the state of our world. Once I truly accepted that this album was going to happen then it was as if my subconscious came to life and all my skills as a songwriter came to the surface and I remembered the sheer thrill of creating music again. Glenn, kenixfan:: There is a lot of water imagery on this new record, as well as in your past body of work. Is this a result of your upbringing in New Zealand? MARTIN PHILLIPPS: New Zealand is an island nation and the impact from the surrounding oceans on its population both physically and psychologically are often apparent in all our arts. 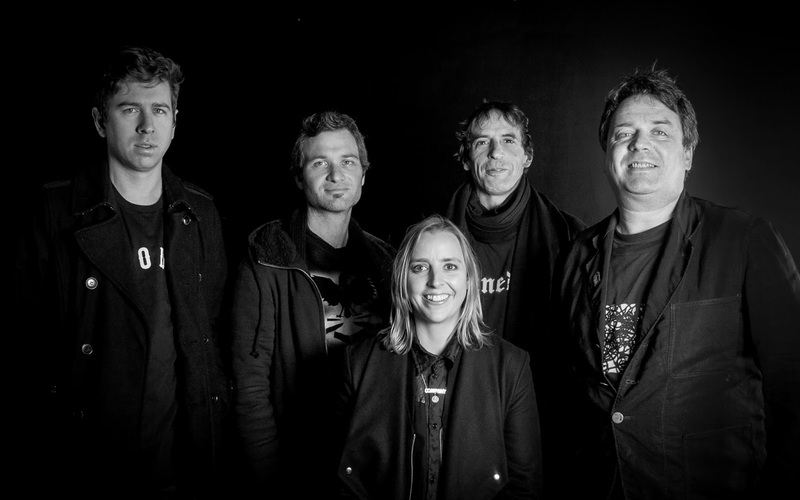 I have always found it impossible to maintain a purely urban or humanistic stance when writing and I still feel that our stories are better set against these enormously powerful landscapes and that that is part of what makes The Chills' sound both recognisable and a little different to any other band. Glenn, kenixfan:: On the new album, "Pyramid/When the Poor Can Reach the Moon" is a positively epic track. Not only is it breathtakingly beautiful in spots, it's ambitious and complex -- like an expansion of a Soft Bomb (1992) track. How did this song take shape? MARTIN PHILLIPPS: Parts of "Pyramid" had been floating around for a while and then most of "When The Poor Can Reach The Moon" arrived in one big lump and I understood that both were different sides to the same coin in terms of topic and also that both were not prepared to be fully realised songs in their own right. So I found a way to join them together and the little linking phrase we referred to as "lotus" has apparently become an album highlight for many people. "When The Poor Can Reach The Moon" will be released as a single by Fire Records on December 11. You can play the brand new video below! Glenn, kenixfan:: On songs like "Brave Words", "Look For the Good In Others And They'll See The Good In You", "The Male Monster From The Id", and others you seem to be wrestling with ideas and working out personal issues in the course of the songs -- almost like a kind of therapy. The method seems more intellectual in nature and your songs are not cathartic in the way that old Throwing Muses songs are, for example, nor are they simply intellectual exercises. Can you speak about your songwriting process, especially in terms of the songs that don't exactly fit the traditional love-song template? MARTIN PHILLIPPS: I like the contrast between the musical setting and a lyric and the fact that this can create a third atmosphere altogether and that this can be more real in terms of the true complexities and contradictions of our experiences. I will often write very bare lyric ideas as prose deliberately using no set rhythm and then I'll look at what I've written and start to substitute words for more interesting or beautiful ones -- sometimes using a thesaurus. Then the rhythms and the images begin to appear and that's when the actual craft of songwriting kicks in and then it can take minutes or months before I accept that the song is ready to be released into the world. Glenn, kenixfan:: Why did it take so long for Silver Bullets to come out? It's been nearly 20 years since Sunburnt (1996) with only Stand By (2004), the EP, in-between. MARTIN PHILLIPPS: I never stopped writing and we never stopped performing but most of the world stopped listening and it was very hard to maintain forward momentum without active support from record labels or management. Then we got good management but the realities of a career in music in the new "download age" while based in a small country in the Southern Hemisphere repeatedly showed how difficult it was going to be to ever be able to record or tour internationally again. Many tours and recordings and documentaries nearly happened but collapsed at the last minute. But finally the right people believed in us and we were offered the opportunity to prove ourselves once again. Glenn, kenixfan:: Do you still look for the good in others? MARTIN PHILLIPPS: I can still be too trusting and too accepting and I occasionally surprise myself with my own optimism but I also have a lot more doubts and anger about the state of human affairs and our future. Glenn, kenixfan:: You once sang "Does apathy come with age?" Does it? How have you managed to stay sincere in an era of irony? What keeps you centered as a person? MARTIN PHILLIPPS: There was an awful transitional stage where I had to accept that I was no longer young and that trying to rock out and stay true to some sort of punk-energy ethic was just making me look old and ridiculous but then I discovered that the music I was making still had truth and intensity -- only now in different ways, and I became comfortable with that. I have even gained confidence as a solo performer and found my strengths there and that took a long time. Glenn, kenixfan:: Will you be touring the USA this time out or did "America Says Hello" rule out that possibility? Is there a sense that Americans are finally "getting" what you've been doing for so long? MARTIN PHILLIPPS: We have not performed in the States since 1996 and I really hope we can tour there mid-way through 2016 which is the current plan. America has always had one of our biggest audiences and we are aware that that has been growing as younger people have been introduced to our music. Glenn, kenixfan:: I just wanted to say "Thank you" for the music you've made and for taking the time out of your schedule to do this interview. I appreciate it very much. MARTIN PHILLIPPS: Thank you for asking interesting questions and I'm sorry about the delay in responding. There has been a lot of media and some things were overlooked. A big "thank you!" to Alice Gros at Fire Records for arranging this interview! 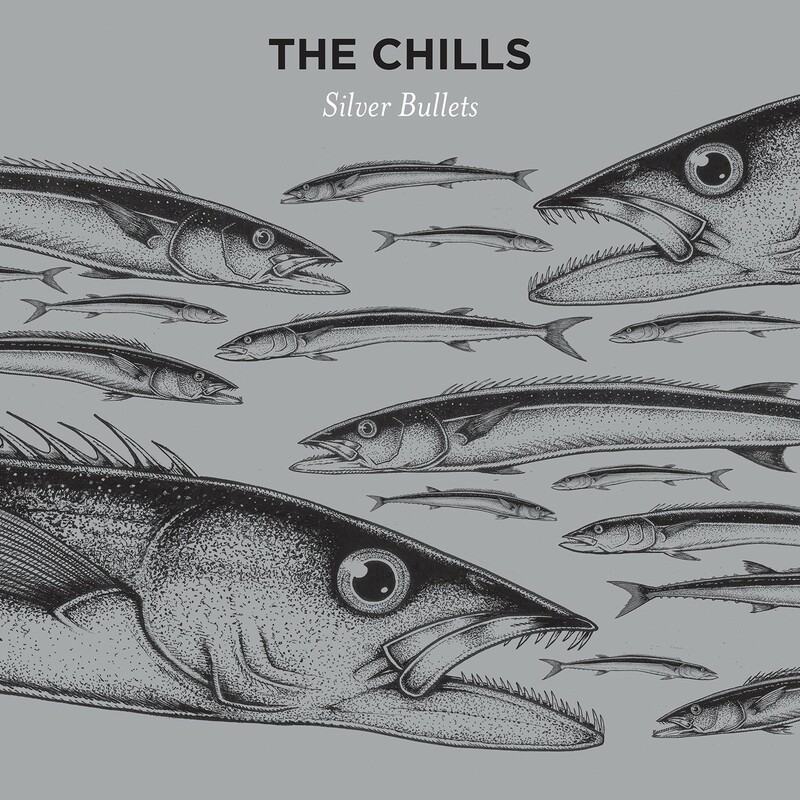 Silver Bullets (2015) by The Chills is out now on Fire Records. Follow The Chills via www.SoftBomb.com.